So this weekend I ticked off one of my ‘bucket list’ locations. 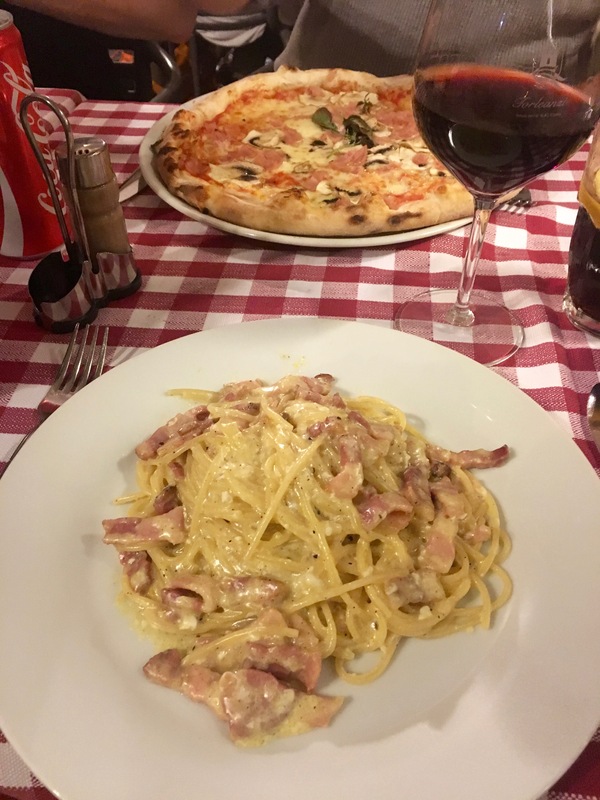 Rome, Italy! 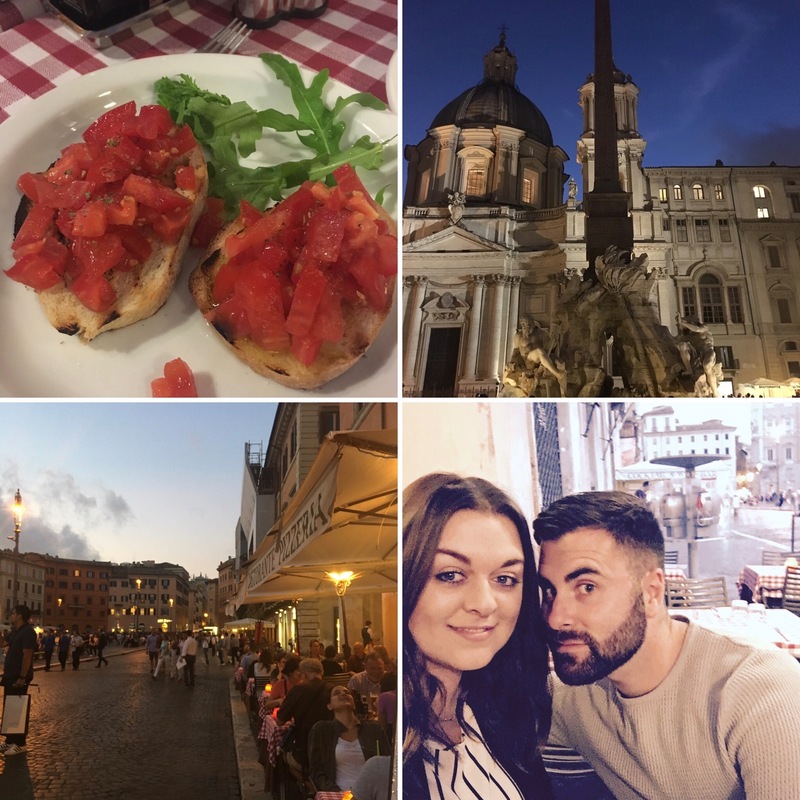 The history, the culture, the food and the country has captivated me and Rome did not disappoint. The 4 day break allowed us to see all of the wonderful landmarks and eat and drink the best food and wine. 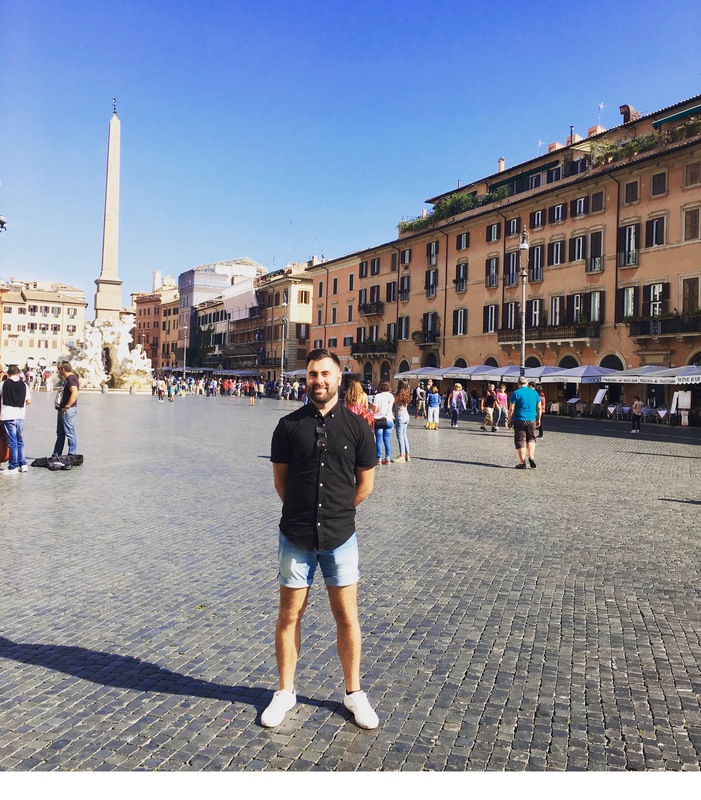 Sam in Piazza Navona:, Rome’s beautiful market square. 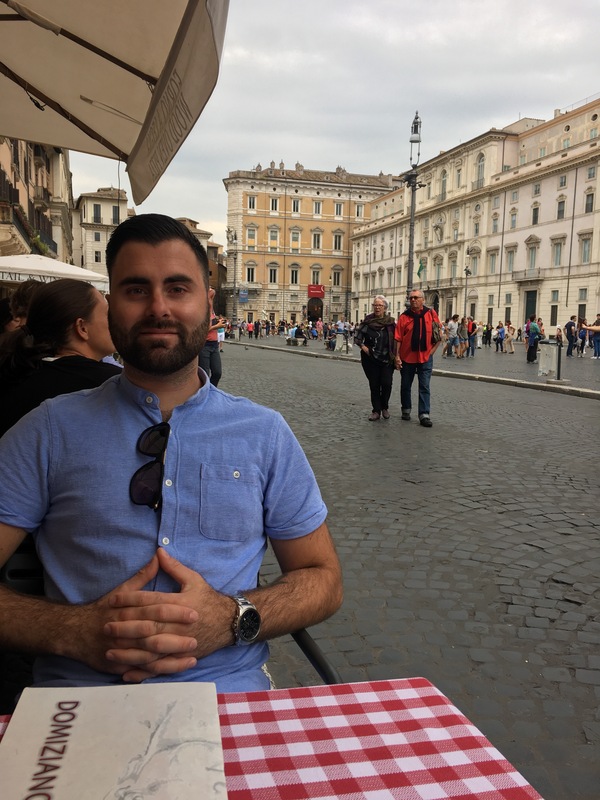 Easily my favourite place in Rome. 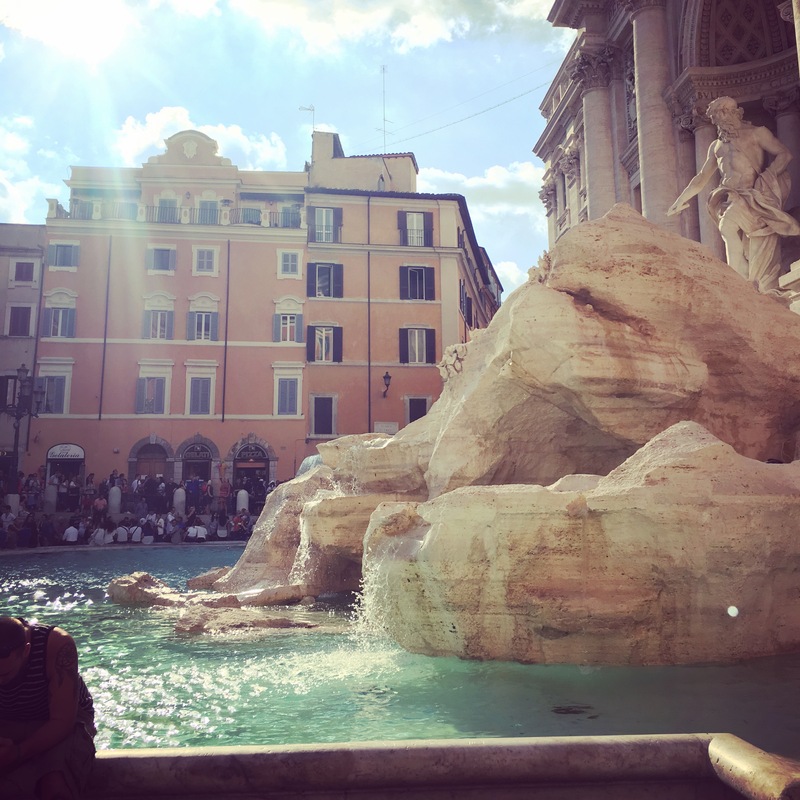 It has an amazing atmosphere with beautiful fountains and great places to eat and drink and grab lots of gelato ice cream. 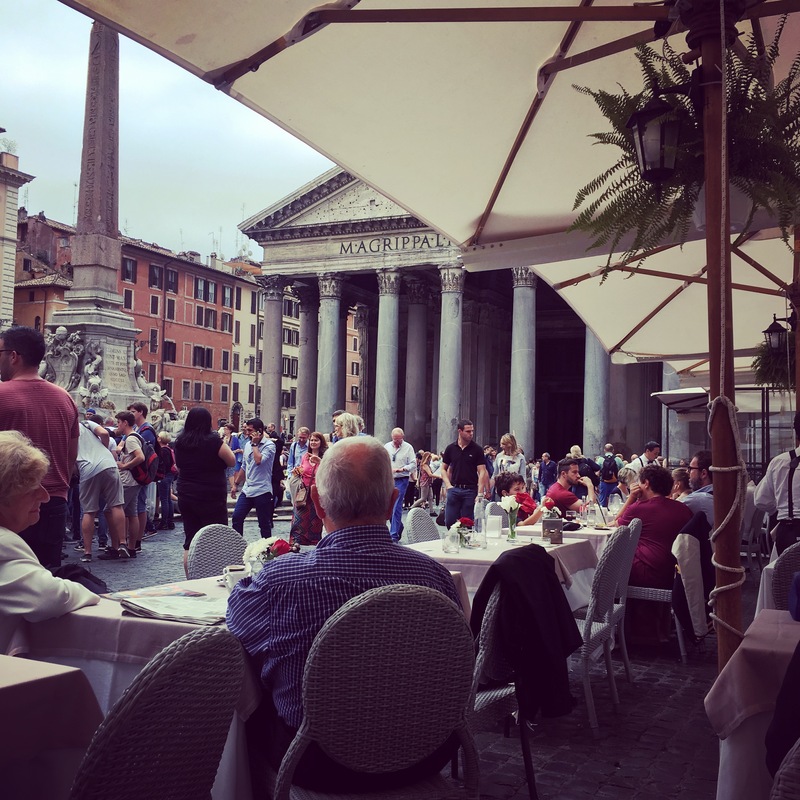 Piazza Navona reminded me of Covent Garden for its hustle and bustle like atmosphere. 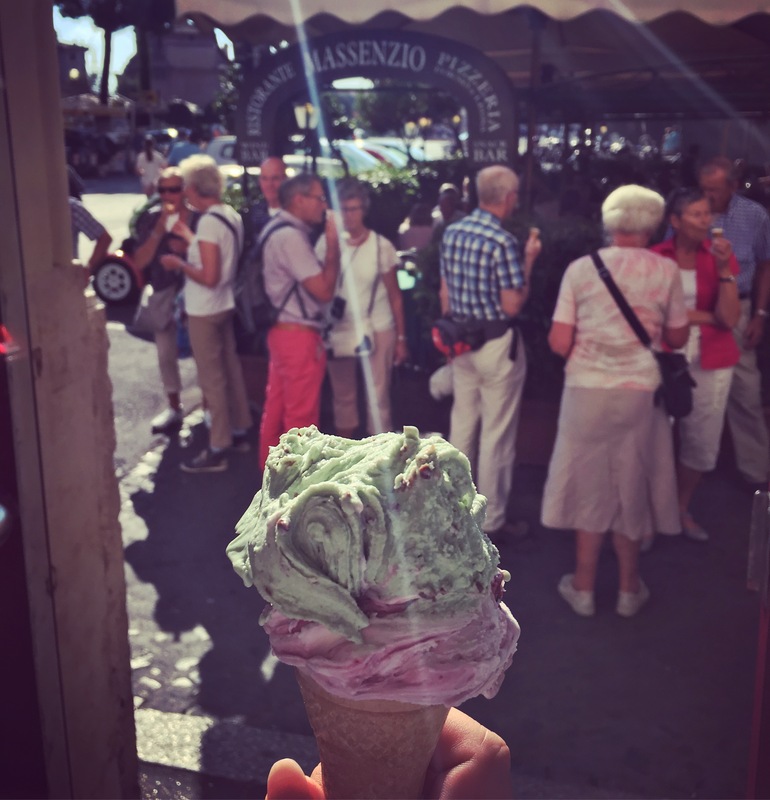 We ate at different restaurants and bars around the market square and its great for getting a cappuccino mid morning or picking up a gelato ice cream. 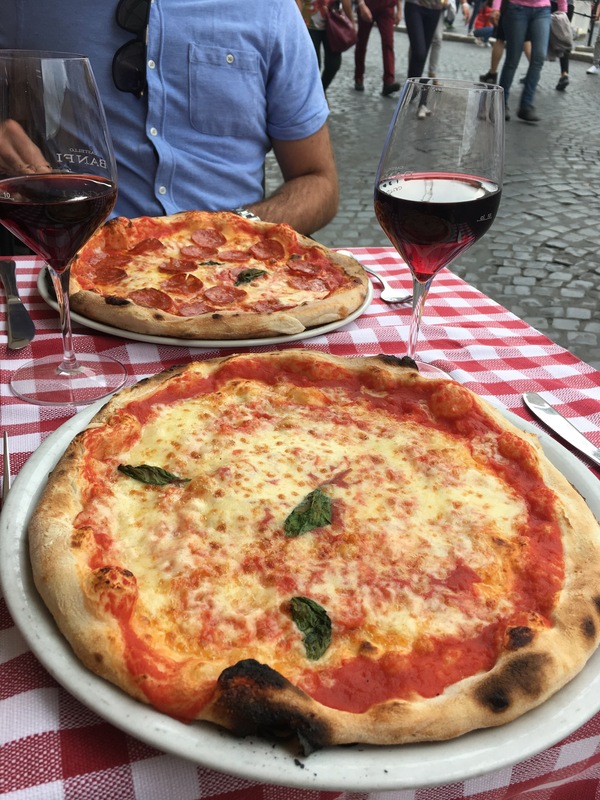 My favourite was the pizza and bottle of wine in the evenings. 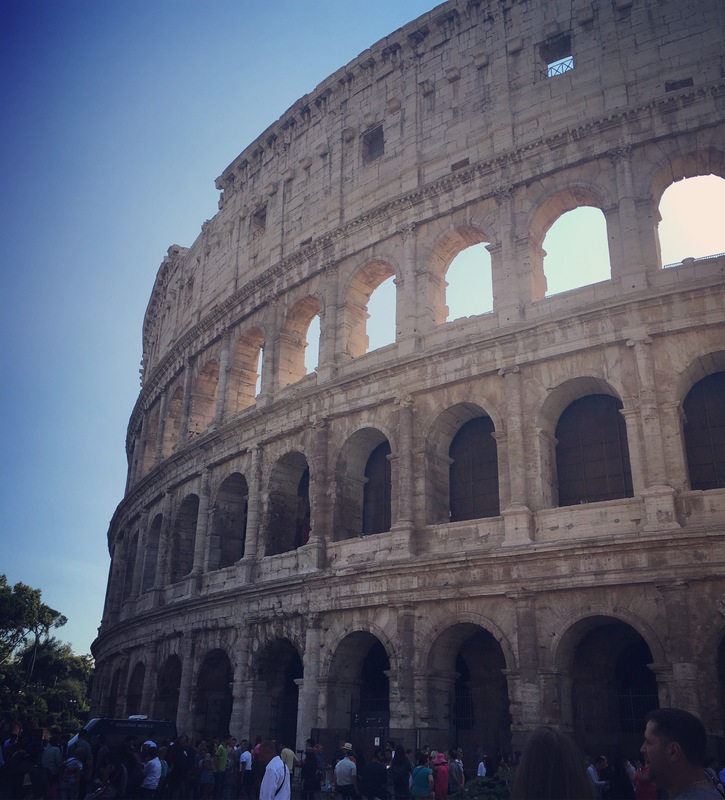 2) The Colosseum is well worth the wait and doesn’t disappoint , but if you get the opportunity to queue jump it is worth paying the extra money. I would strongly recommend a tour guide otherwise you could end up aimlessly walking through not knowing what you are looking at! 3. 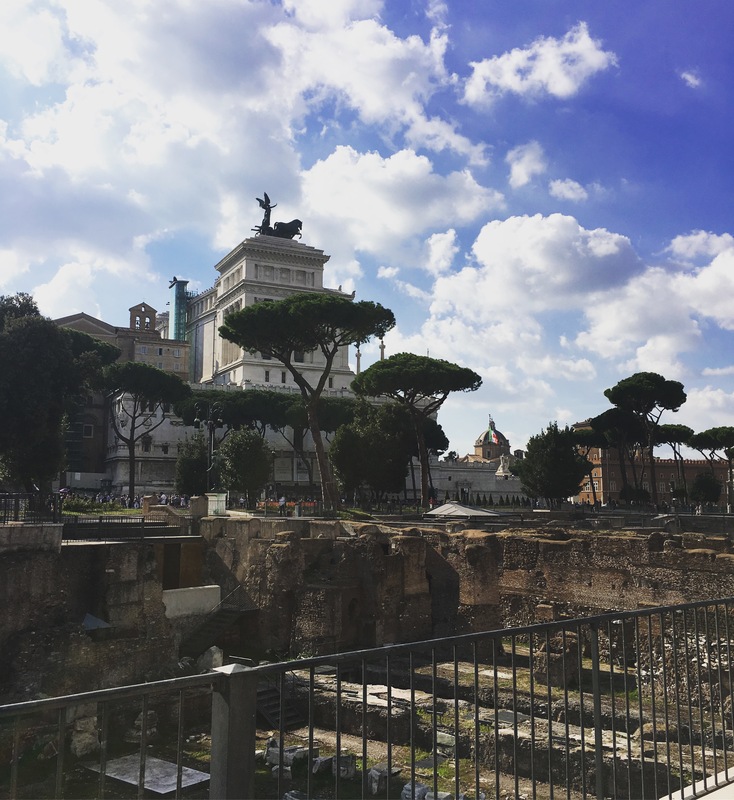 Roman Forum & Palatine Hill – was part of the Colosseum ticket deal that we purchased and again I would recommend visiting both these landmarks with a tour guide as they out it ‘you are just staring at a bunch of crumbling ruins’ !!! 4. 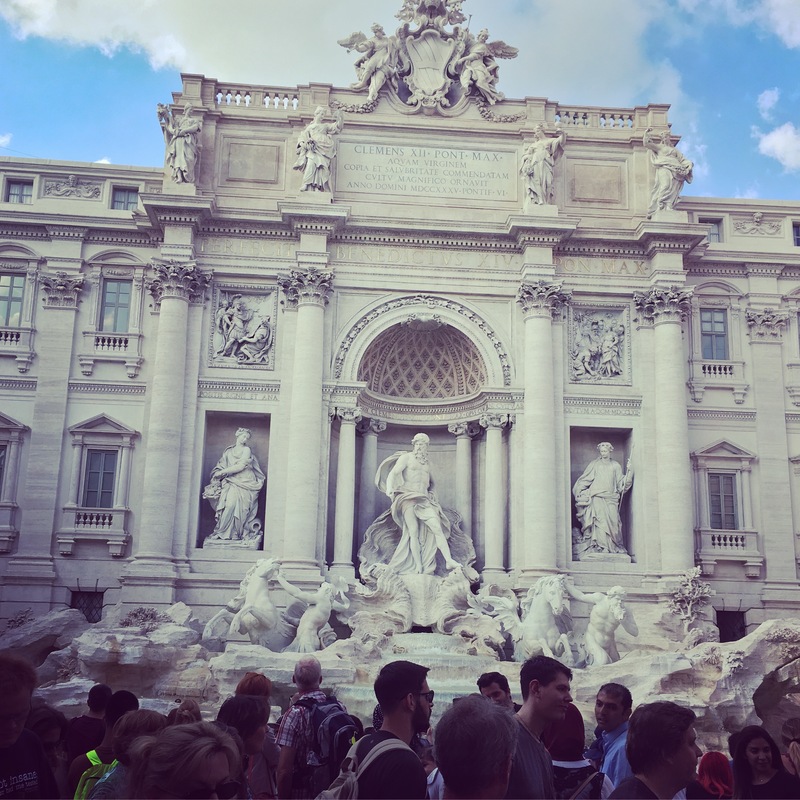 Trevi Fountain, this was hugely popular and you couldn’t move for tourists, cameras, selfie sticks and tour guides crammed into was is a very small area. However we managed to locate a more quieter area around to the side of the fountain. I’m not sure my pictures do the fountain any justice, but I would strongly recommend a visit. 5. 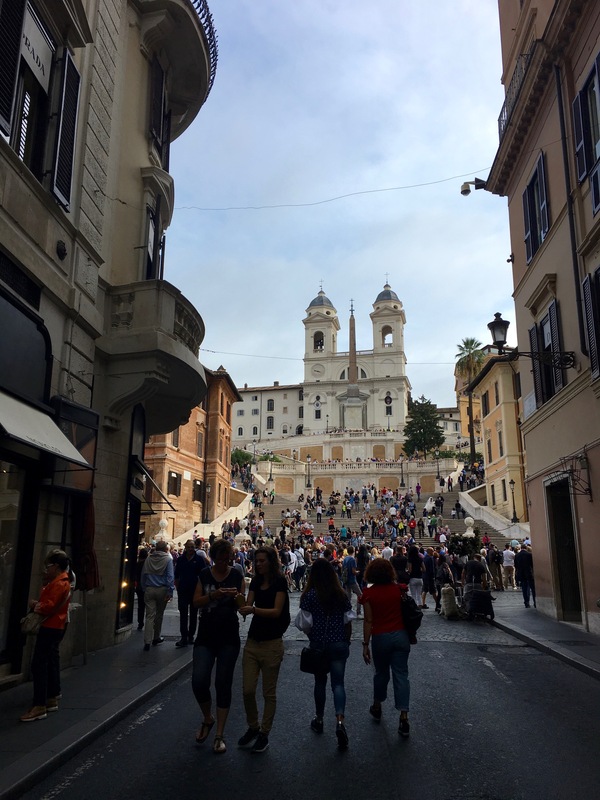 Spanish Steps (Piazza di Spagna) this is another tourist landmark that I was advised not to bother visiting in advance of our trip to Rome however, it should be worth noting that for anyone who, like me, loves their shopping this landmark sits in the heart of the capitals best shops. 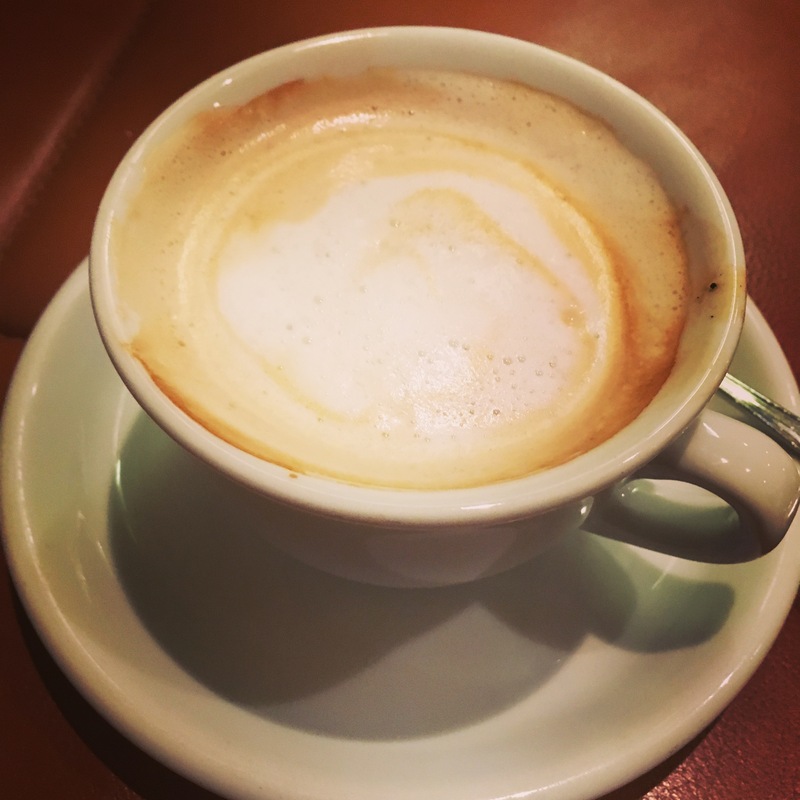 from Gucci, Chanel, Longchamp, Tiffany, Hugo Boss and many many more this is a ideal day visit to see the shops and turn down small side streets for a coffee and sit down. 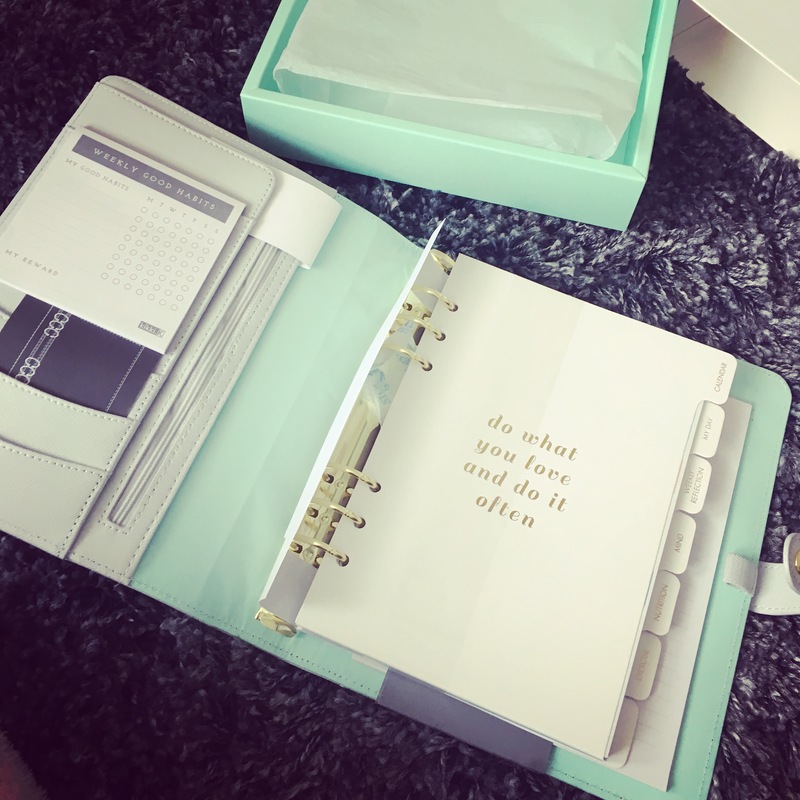 After a recent trip to London I became the very proud owner of my first my wellness planner. 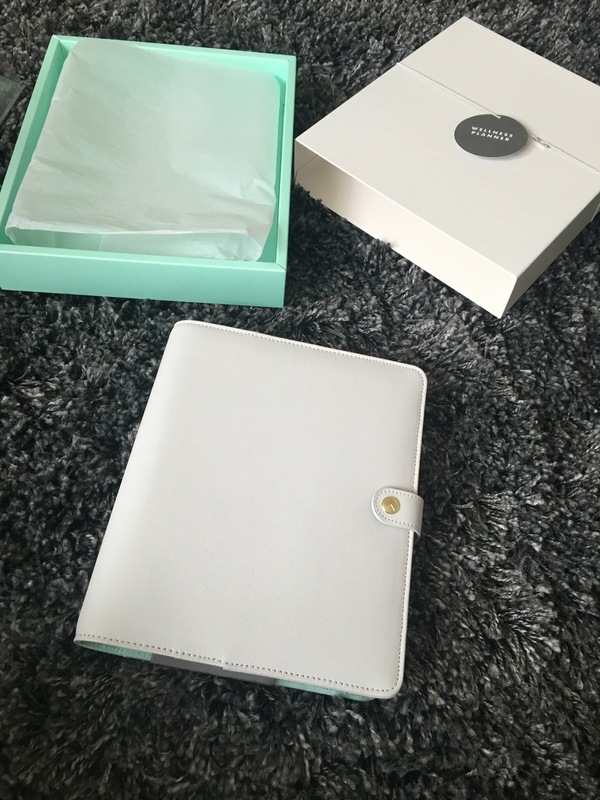 I had read and heard tonnes about the new Journals that Kikki.K have created so when I ventured into their pop-up shop in Covent garden a few weeks ago I instantly fell in love…. The layout the design of the small London store along with the friendly and helpful shop assistants meant I was hooked instantly! There was no way I was leaving the store without purchasing something even if it was a pen!!!! Must mention the really quirky stickers page included too!! 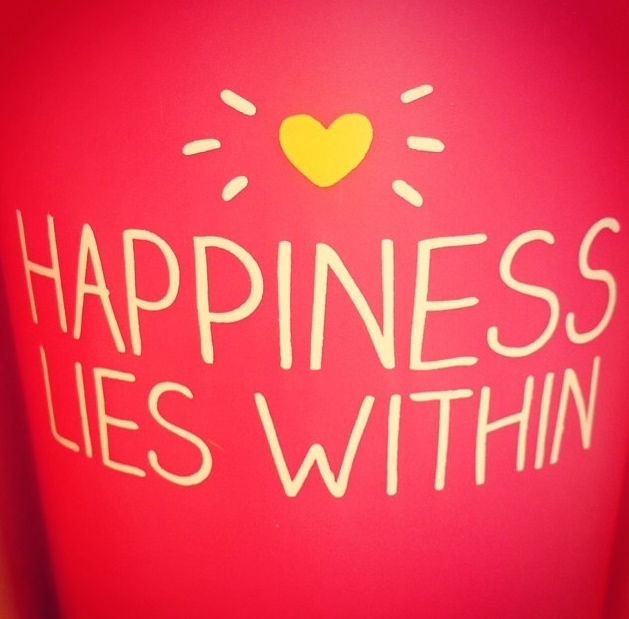 For all you Paperchase lovers out there, give Kikki.K a try, its a new Swedish concept and I am completely hooked! Looking forward to buying something to add to my collection…. Welcome to my new Facebook Page Carrie’s Nail & Beauty you can now book online for treatments and choose a convenient appointment time that fits for you! I wanted to share this special conditioning shine boosting spray! I discovered this only this week (I know I’m a bit behind). I use straighteners a lot and always want my hair to maintain a nice healthy shine, if you spray this on damp hair and brush through it not only conditions your hair but makes it smell delicious too! 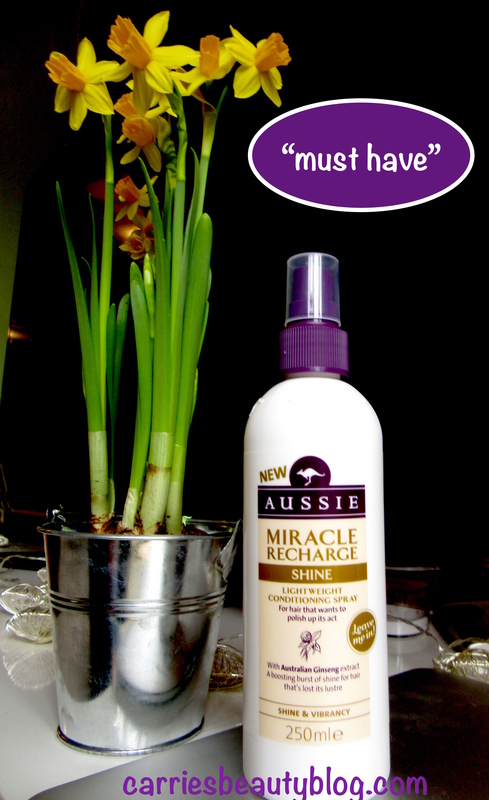 I bought this product in Asda when the Aussie range was on offer (3 for £10) I bought this and 2x bottle of Aussie Volume Shampoo – I swear by their products! Little Tip – After styling or straightening, spritz some Aussie Conditioning Spray into the palm or your hand and smooth over your hair. it sorts out those strays and flyways in an instant and gives your hair a lovely shine. Do you use Aussie hair products? What do you think of them? 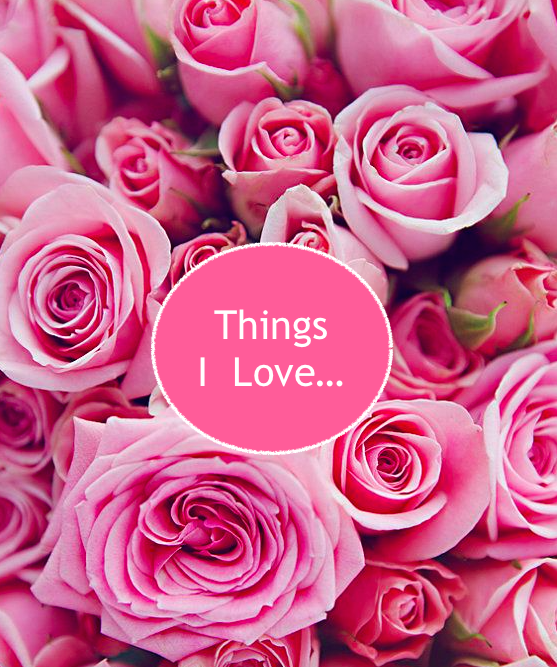 Flowers – they are beautiful, fascinating and will always cheer me up whether it is the colour or smell receiving or giving flowers always makes me happy. My absolute favourite has to be White Avalanche Roses. Walks in the Sunshine – lets face it when the sun is shining everyone is happier, but nothing beats a walk in the warm spring sunshine! Get outdoors people and enjoy the outdoors! Its free, its exercise and I guarantee you will feel fab! Makeup – this is probably a given as my blog is all about makeup, beauty and fashion. But if I ever need a pick me up, I know that experimenting with makeup (in particular eyeshadows). 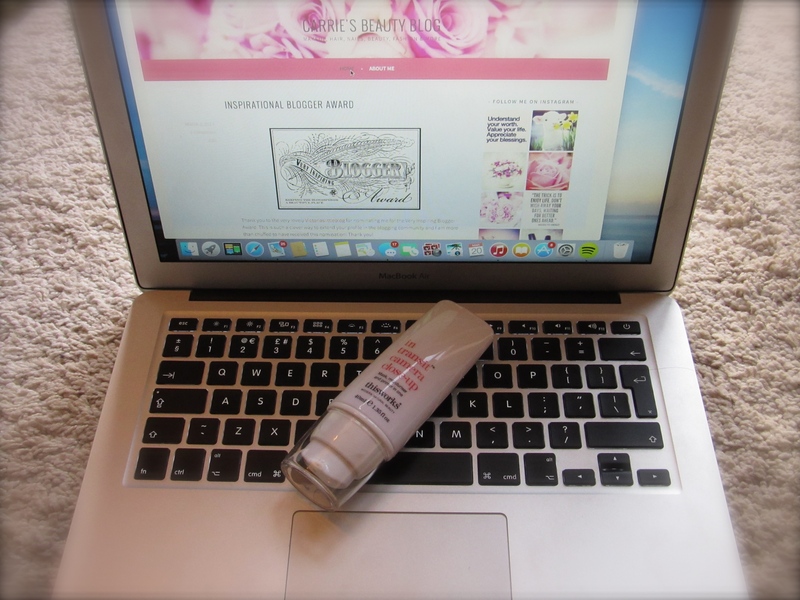 I truly love makeup Im sure theres so many bloggers out there that agree with me on this one! Desserts – I love eating out and I have to admit I have a major sweet tooth! 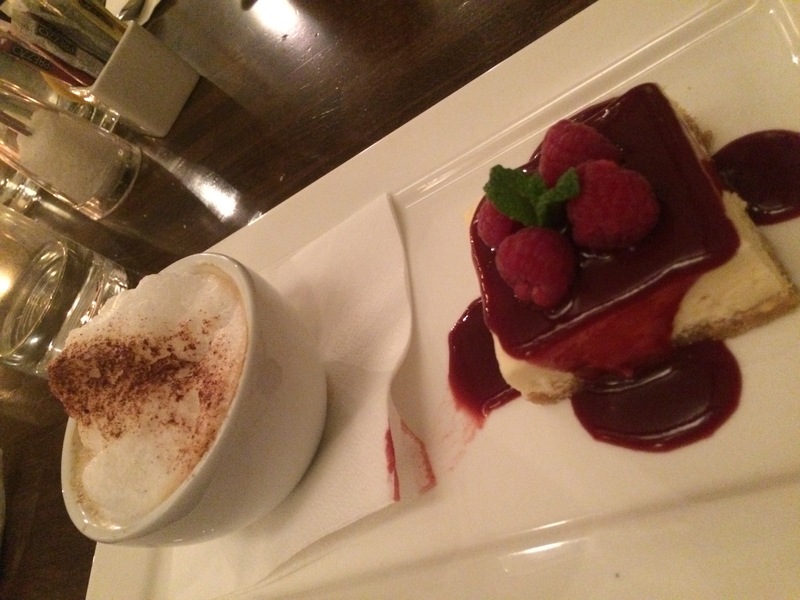 I have a particular obsession with Prezzo’s vanilla cheesecake – its delicious ! 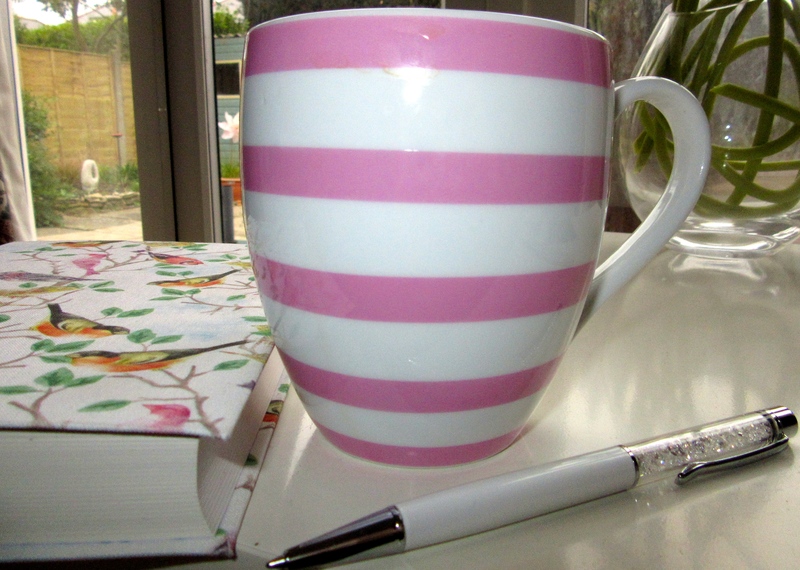 Shopping – whether it is buying clothes, makeup, handbags, shoes or homeware! I just love love love shopping! 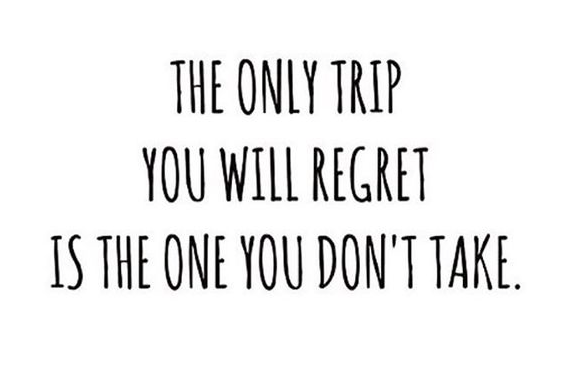 As silly as it sounds its probably the best therapy for me – albeit a pricey one! 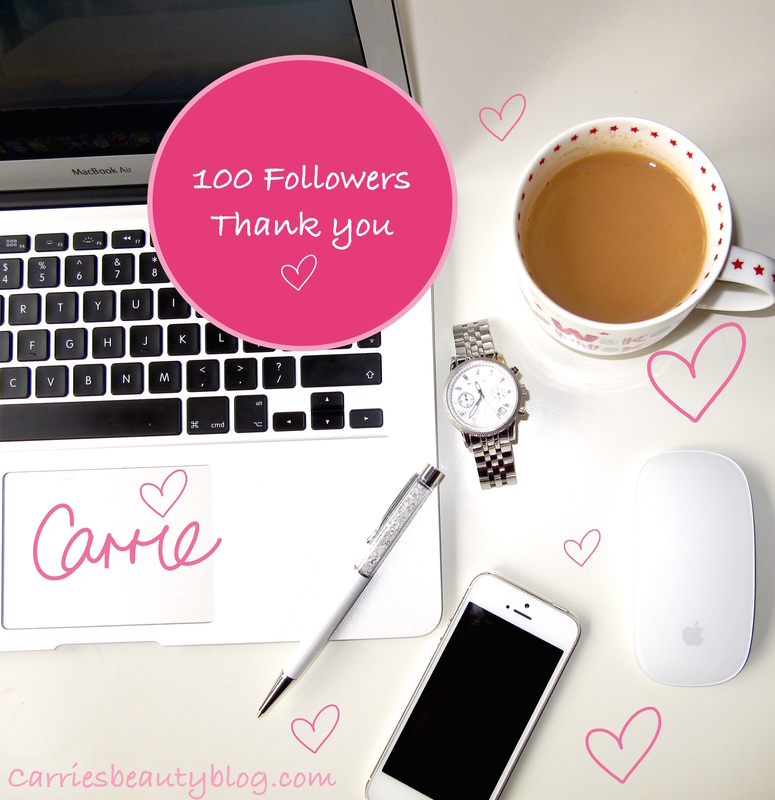 Just a quick post to say a big thank you to all my 100 followers on wordpress.com and also to my 150 followers on bloglovin.com! The This Works ‘in transit camera close up’ which is cleverly a 3 in 1 combined mask, moisturiser and primer in one handy 40ml bottle! Priced at £30 on www.lookfantastic.com its a definitely a ‘must try’ product or at least one to put on your wish list as a special treat. 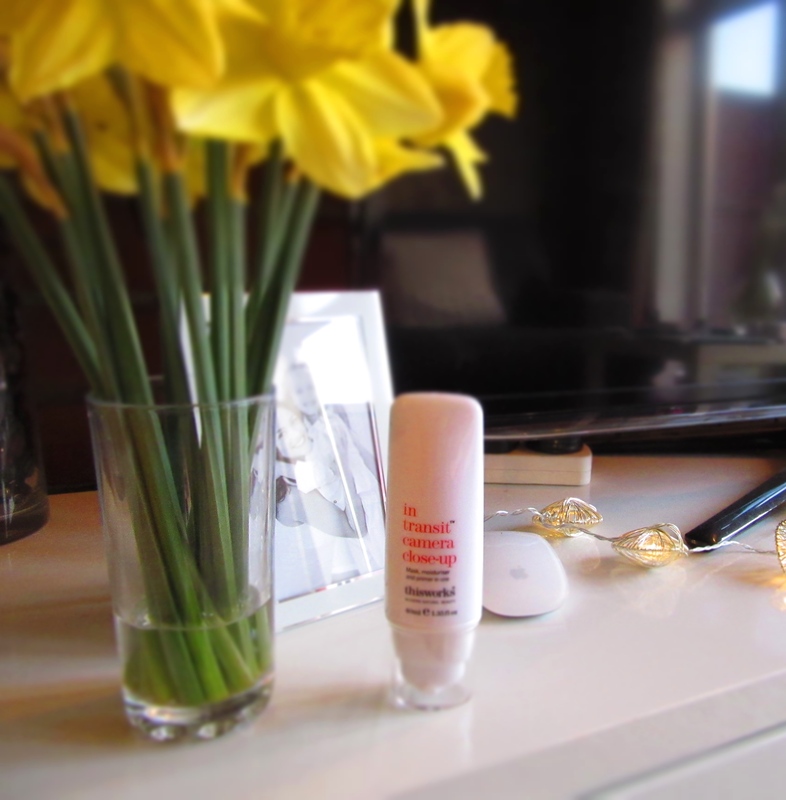 But be warned ladies you may become hooked on this primer like me! Simply apply to clean skin, including eye area and massage gently until all product is absorbed. your face and neck should feel slightly dewy and primed read for your makeup. This award winning product really does keep your makeup in place throughout even the longest of days at work. I don’t claim to have tried all primers on the market but I have tried a few scaling from cheap to pricey this is definitely one of the higher end products on the market but baring in mind it does 3 different things in 1 bottle ….. well you can’t grumble at that! Have you tried this product? I would love to hear your thoughts? 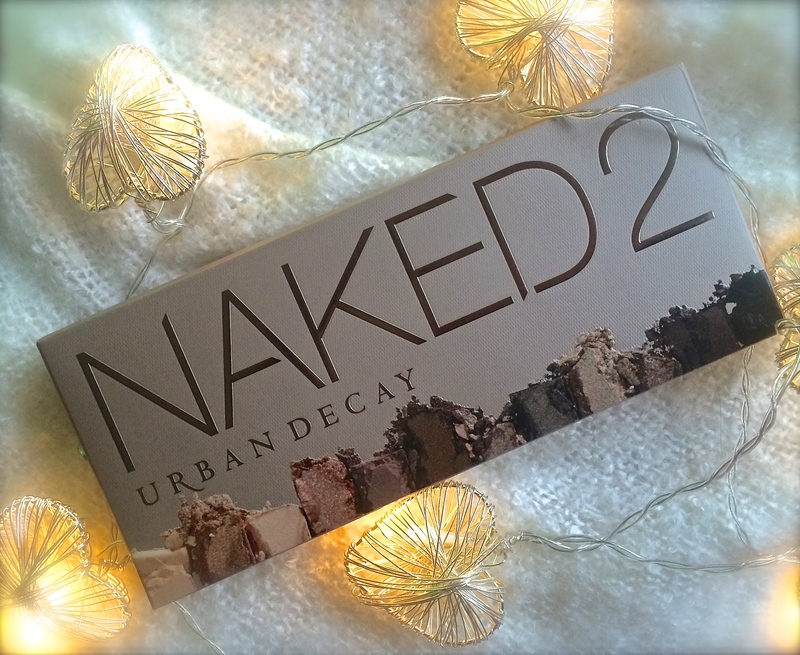 After being offered a new job this week, I promised to treat myself to a little something.. Now I know I’m a tad late on this, but I chose to purchase the incredibly popular Urban Decay Naked2 palette. I read a review that the Naked2 palette is suited for blue eyes and they were spot on! 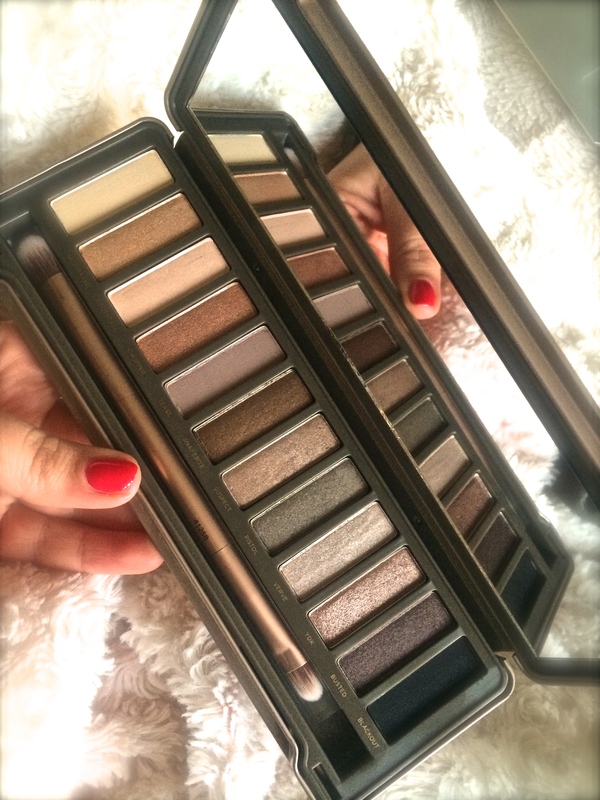 It contains plenty of golds, taupes, and shimmery greys all ideal for enhancing anyone with baby blues eyes! Contained within this rather attractive box is also a weeks worth of sample eyeshadow primer, a little extra given by Urban Decay….nice! 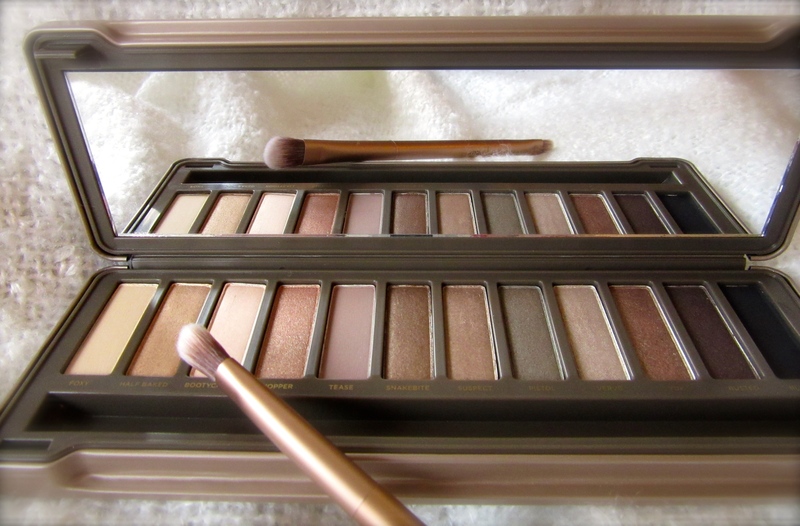 At £38 its one of the pricier palette’s on the market however the quality is right up there and comes with an amazing Urban Decay eyeshadow Brush! 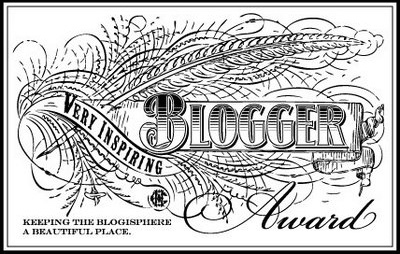 Thank you to the very lovely Victoriaslittleblog for nominating me for the Very Inspiring Blogger Award. This is such a clever way to extend your profile in the blogging community and I am more than chuffed to have received this nomination! Thank you! I have been a fully qualified Nail Technician for over 7 years and I love everything nail related! I’m a girlie that loves her footie & support my local team at home & away games! My 3 items of makeup up I couldn’t live without are; my MAC NC20 Foundation, Collection 2000 Extreme Eyeliner, Benefit Boi-ing Concealer. I have naturally wavy hair so I couldn’t live without my GHD Straighteners if I was stranded on a desert island electricity is a must. We all have those “I don’t have anything to wear” moments and theres nothing worse when this happens when you are rushing off to work… with this in mind I wanted to share with you all my five key wardrobe ‘must haves’ that you can rely on to get you into the office looking fabulous! I swear that every girl should invest in a decent black blazer. It’s one of the most versatile items in the wardrobe as you can dress it up (teamed with a shift dress) or dress it down (with a pair of flats & skinny jeans) I personally love my trusty black Zara Blazer. Pointed Black stilettos will never go out of fashion and guarantee that wearing these beauties will instantly glam up your outfit! I personally love my pointed heels from Boohoo take a look! Another key item for the wardrobe and the one you can always rely on when in a rush is your white shirt or blouse! 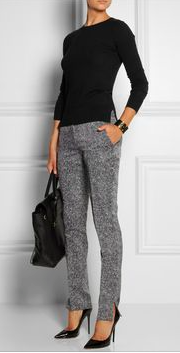 Team this with a statement necklace to give a professional yet trendy style to this outfit. 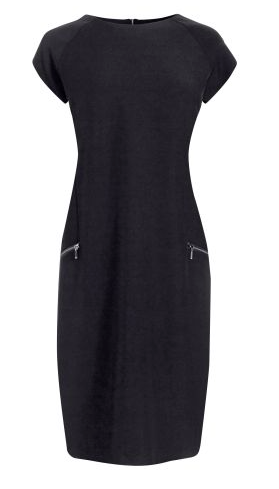 I recently purchased my black Shift Dress from Next (£26) and I can’t believe I haven’t bought one sooner! Its perfect to wear to work with a pair of heels and a nice statement necklace and always looks smart and flattering regardless of your shape or size! A true classic – ladies buy yours now! This is the one that I personally believe finishes off any outfit and the bigger the handbag the better (in my opinion). I always find that a big tote handbag is also very practical as you are able to fit your entire life inside it! So it looks good and is practical its a win win! Have you got any other suggestions to add to the ‘wardrobe office must haves’ …..?